Give your leadership or service team thoughtful, unique executive gifts to keep them motivated and strengthen your relationship. 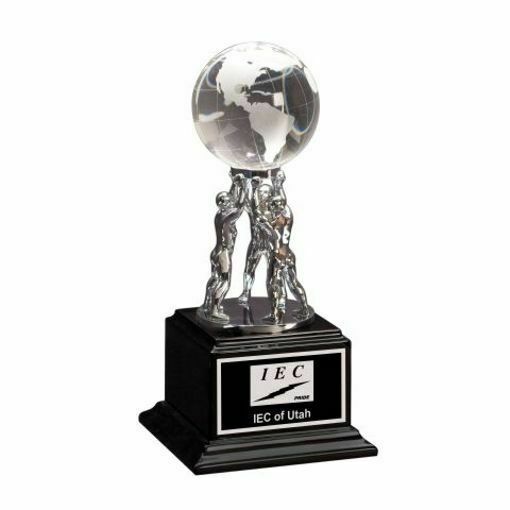 Three mediums come together in perfect harmony to create this crystal globe resting on three male atlas figures. The matte black base is large and has plenty of room for FREE engraving by NewlineTrophy.com.